Do not support those that praise one skin tone and not the other. Also, do not support those that generally speak badly against women or those that see women as objects and not actual human beings. Yes, the beat might be bangin’ but listen to the message within the song. Be mindful of the songs you listen to because the message within the song, subconsciously affects you! Generalizing all light skinned women as arrogant is ignorant. Generalizing all dark skin women as ghetto is ignorant. Be conﬁdent enough to break down the stereotypes thrown at your race by your own race. Break down colorist stereotypes by speaking up. If you see an ignorant person make a colorist joke, notify them that their opinion is wrong and is degrading to the black community as a whole! Are you colorist? Meaning do you hold negative opinions against your sister of color? If so, then you need to change for the better. Eliminate all negative stereotypes you have for your sister of color and over come them by befriending all skin tones of women within your race. If you are light skinned and feel you aren’t accepted by the darker skinned women because of your lighter complexion, you’re wrong. Not all dark skinned women will reject you. Befriend as many darker skinned sisters and learn to understand their outlook on life. (This scenario is vice versa)! If you are big in the social media community, you are aware that light skin vs dark skin is a trend that is displayed through memes, bio’s, etc. Don’t allow colorism to get into your psyche and affect the way you view yourself. If you are a dark skinned girl and notice the lack of women similar to your color in a “baddies of the month” picture on Instagram. Don’t beat yourself down because you don’t ﬁt the standard for a beauty. (This scenario is vice versa). Understand that you are still as beautiful as the next sister of color. Understand that you won’t be everyones cup of tea. Just because one person doesn’t ﬁnd you endearing, doesn’t mean the next person won’t! Which goes to the next step.! Love the skin that you’re in. Meaning love yourself and every bit of yourself. Be conﬁdent, know your worth, and don’t let any person tell you that you’re not the cats meow. Don’t live for men or women, live for yourself. Don’t live to impress others because people will never be 100% satisﬁed, live to impress yourself.! Why is it that we as black women don’t support each other? Is it because there can only be one token black girl? Guess what, there can be two! 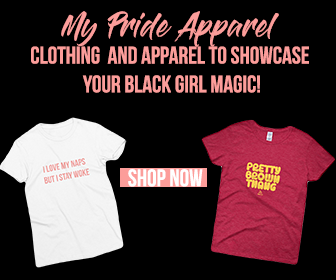 Ladies, support your sister of color! ! Be up to date on as many social issues regarding women of color. Be aware of cases of colorism, gender inequality, and racial inequality and overall forms of injustice so that you can better understand why society is the way it is. Within that, you can speak on those topics and possibly help change those forms of injustice. Which leads to my next step…! Join a group or groups within the black community that are aimed at uplifting all people of color. groups that will improve not only your outlook on colorism but also society at large. Joining the group will potentially open up new doors and new opportunities for you. ! Now that you are aware of colorism, know that it is a global issue that affects not only African-Americans but also Asians, Hispanics, and all other racial groups that have various skin tones. With the knowledge that you now have, befriend people outside of your race and learn their culture as well as way of life. While doing so, you’re breaking down any stereotypes that they probably have toward you or vice versa. Either way, you’re opening your mind and realizing just how diverse the world is. !! Now that you’ve learned 9 EASY steps on how to overcome colorism, let’s try it out in real life. Apply these 9 steps to your everyday life and see just how your life will change for the better! 1 Comment on "A Guide to Overcoming Colorism"